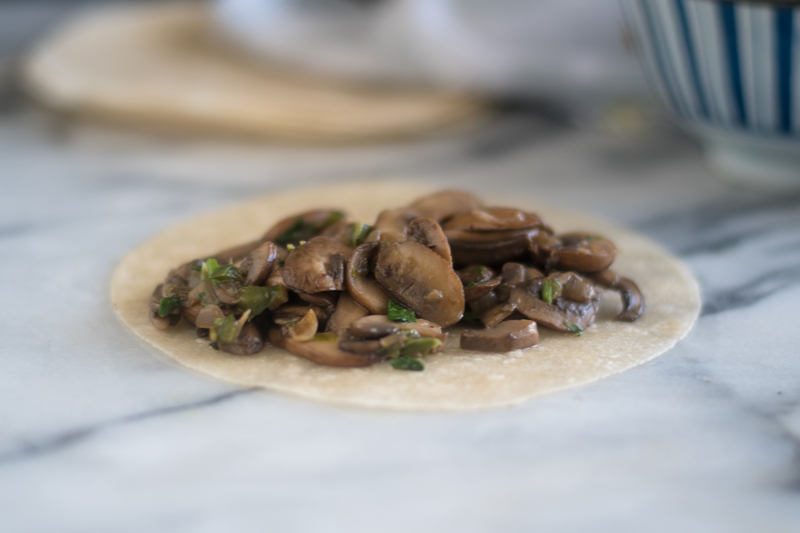 Have dinner on the table in less than 30 minutes with these Easy Mushroom Tacos. 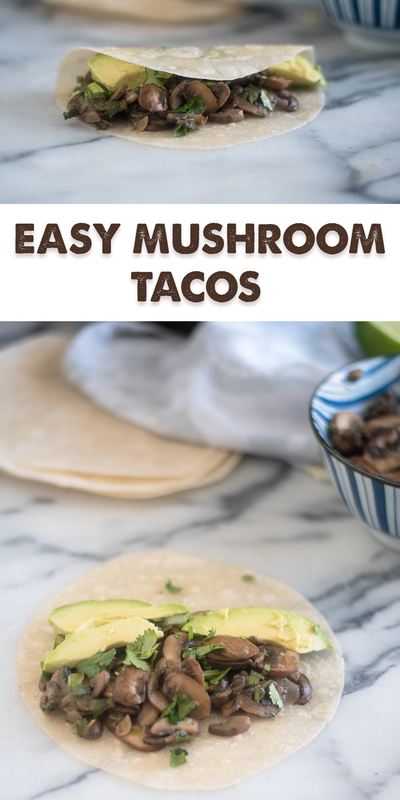 These Easy Mushroom Tacos are perfect for when you are short on time and need to make a quick dinner. 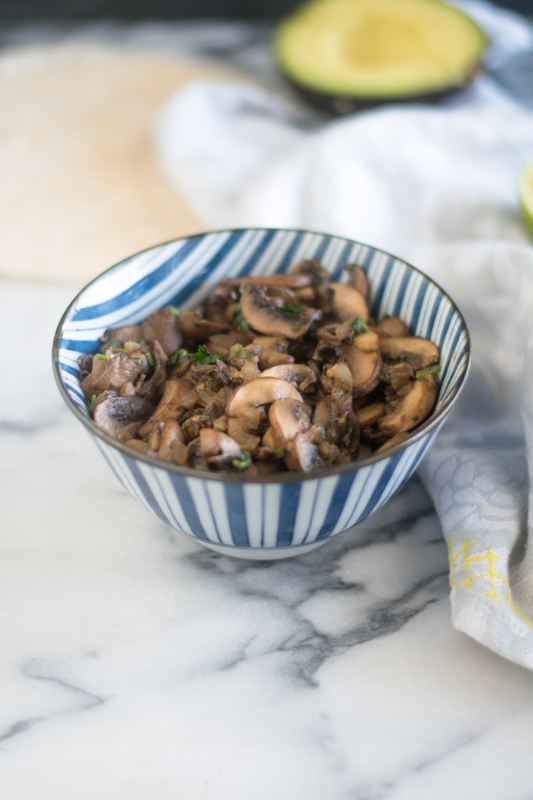 Cremini mushrooms are the star of the tacos. 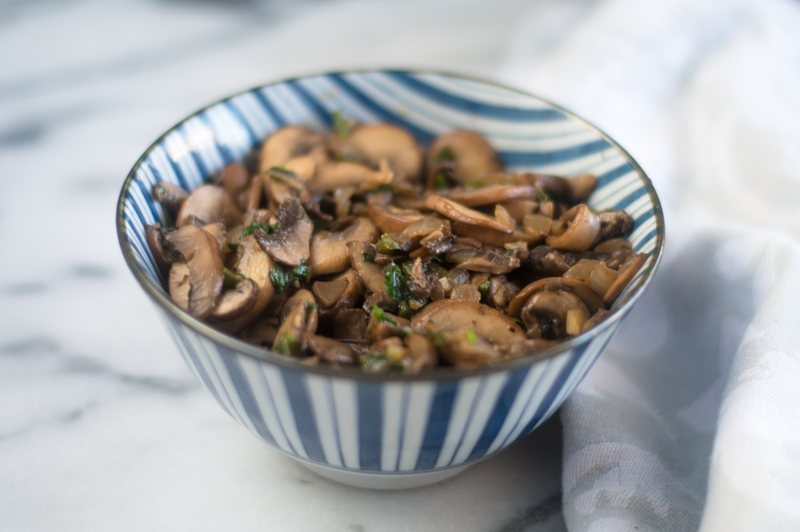 I really like using cremini mushrooms because they are readily available and inexpensive. 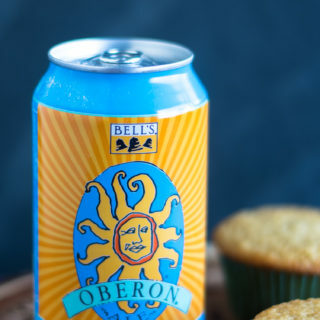 You can also use your favorite mushroom for this recipe. You only need 8 ingredients to create a delicious and satisfying plant-based tacos. 10 if you add avocado and a squeeze of lime to the tacos. Sautéed mushrooms are a very popular taco and quesadilla filling in Mexico City. The mushroom filling starts by sautéing onion, jalapeños, and garlic. 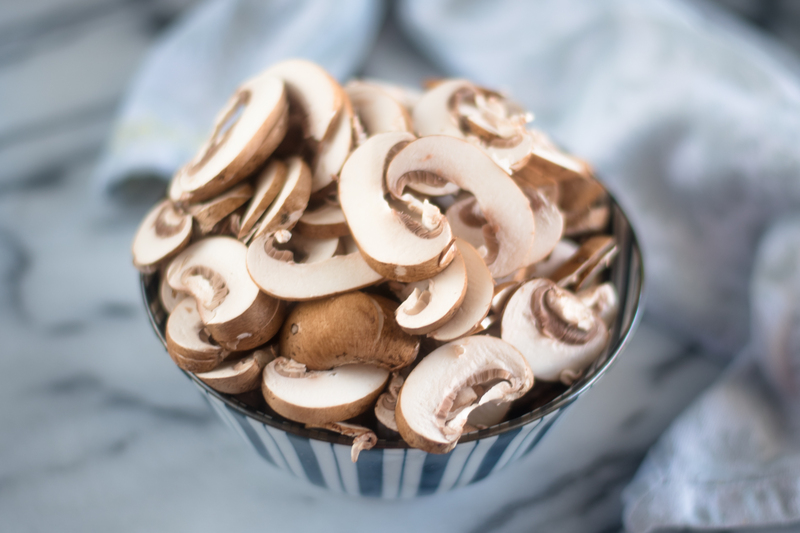 Once the vegetables have softened, the sliced mushrooms are added. 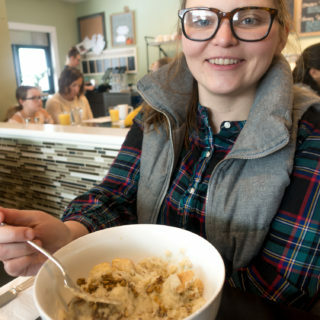 The great thing about mushroom is that they don’t need that much time to cook. 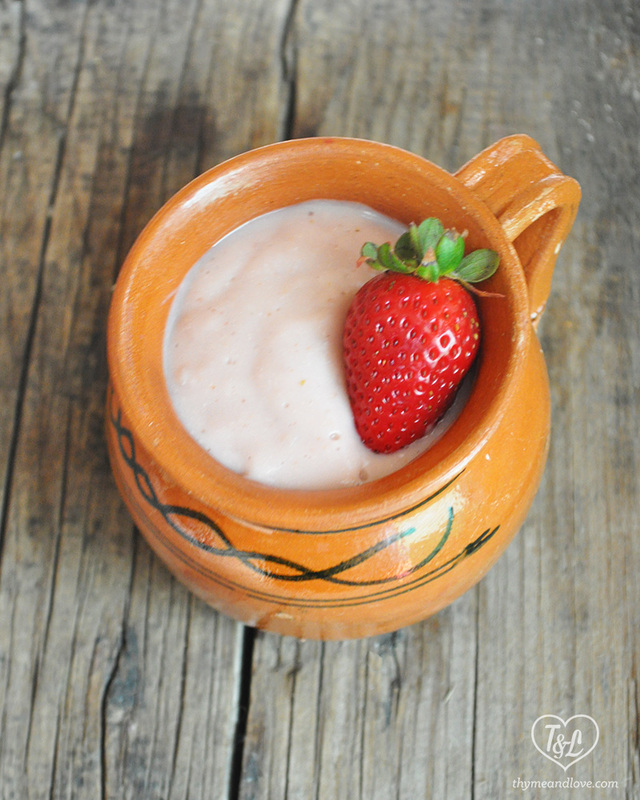 Traditionally epazote is needed to the mushrooms. 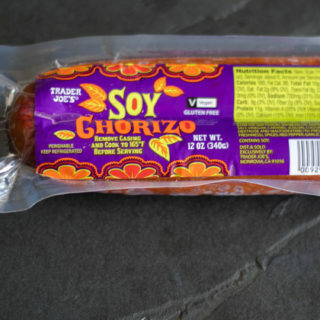 Since epazote isn’t that easy to find, I like to use cilantro. 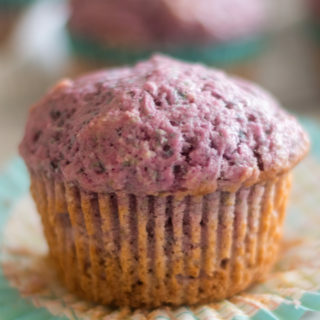 The mushroom filling is a great option for both vegans and omnivores. 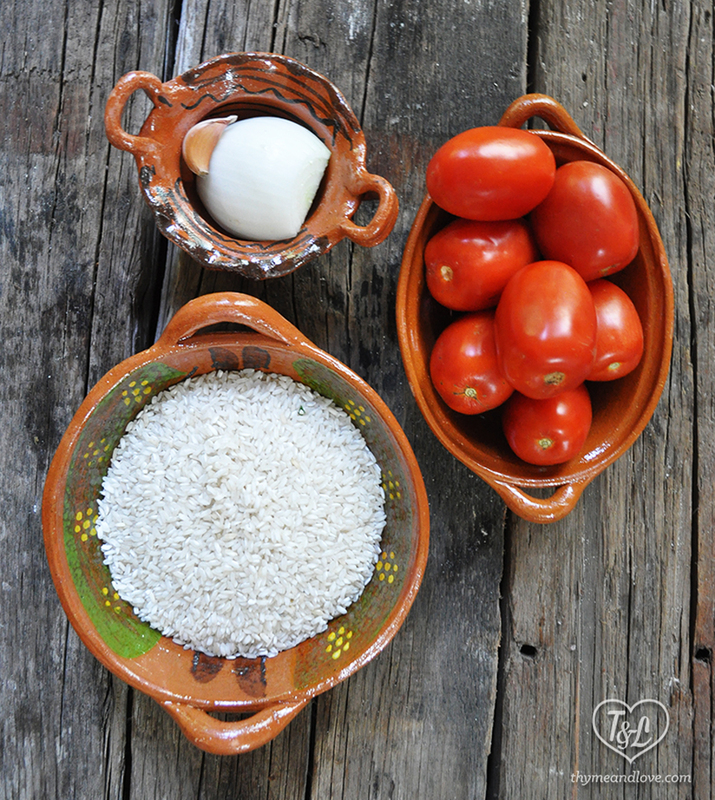 For a complete meal, I love serving my Mexican red rice . 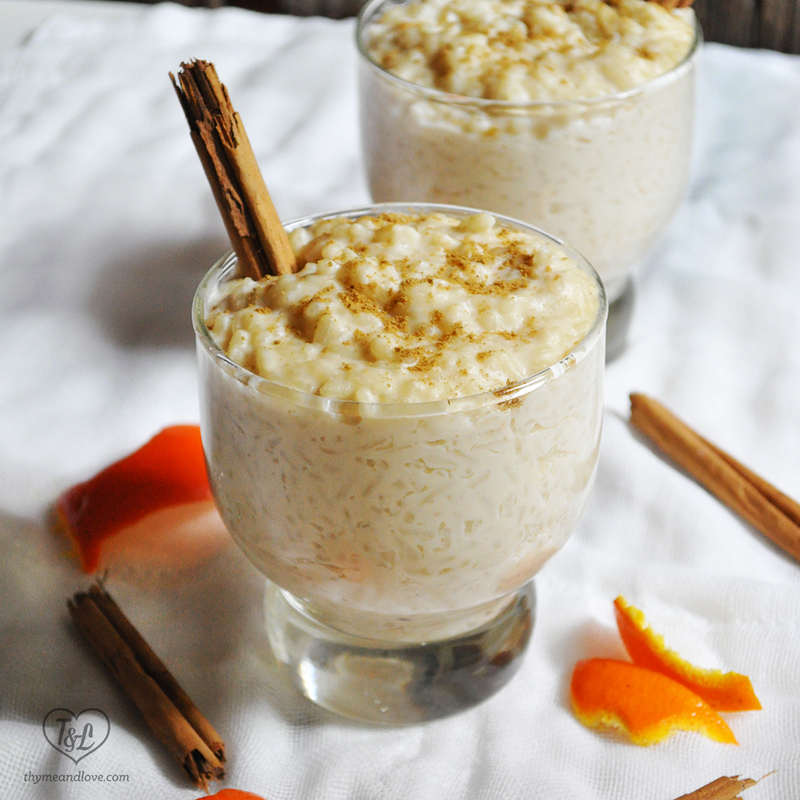 Cilantro Lime Rice would also be a great side dish to serve. I love serving the mushroom filling on warm corn tortillas with creamy avocado slices and a squeeze of fresh lime juice. 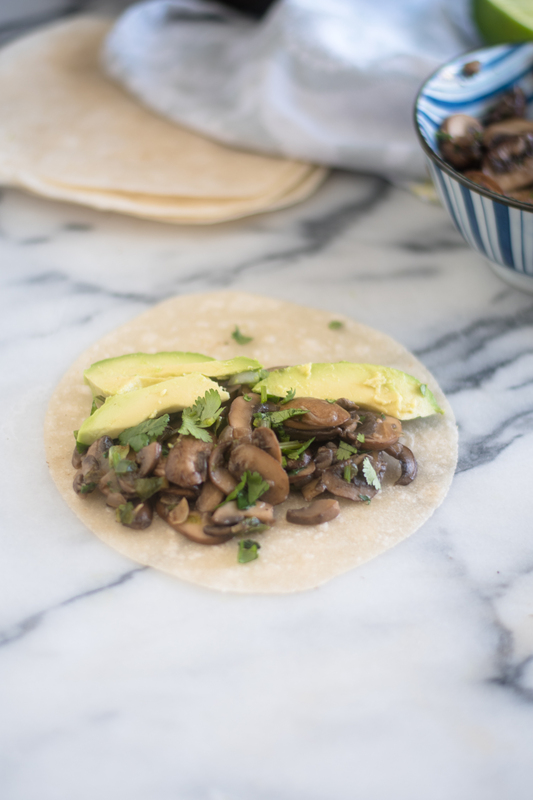 These Easy Mushroom Tacos would also be a great savory breakfast option too! 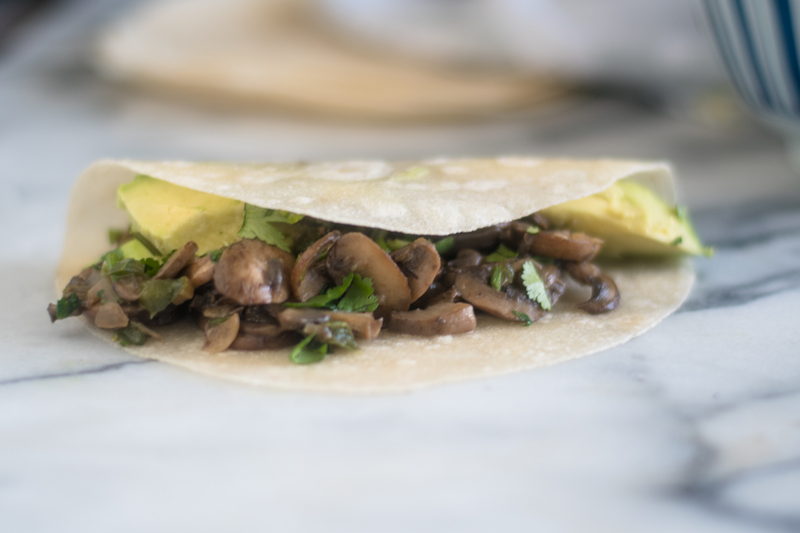 These easy mushroom tacos take less than 30 minutes to make. 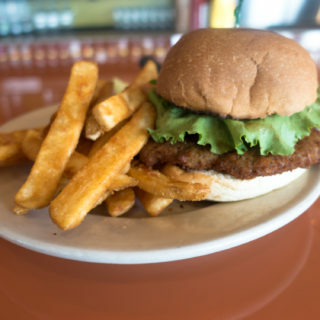 Perfect for a quick and easy meal! Once the oil is hot, add the diced onion, jalapeños, garlic, and a pinch of salt. Cook for 3 minutes, just until the onion starts to soften. Raise the heat to medium high and add the sliced mushrooms; stir. Cook until the mushrooms have released their liquid, and are browned, about 10 minutes. Add in the chopped cilantro and salt to taste. 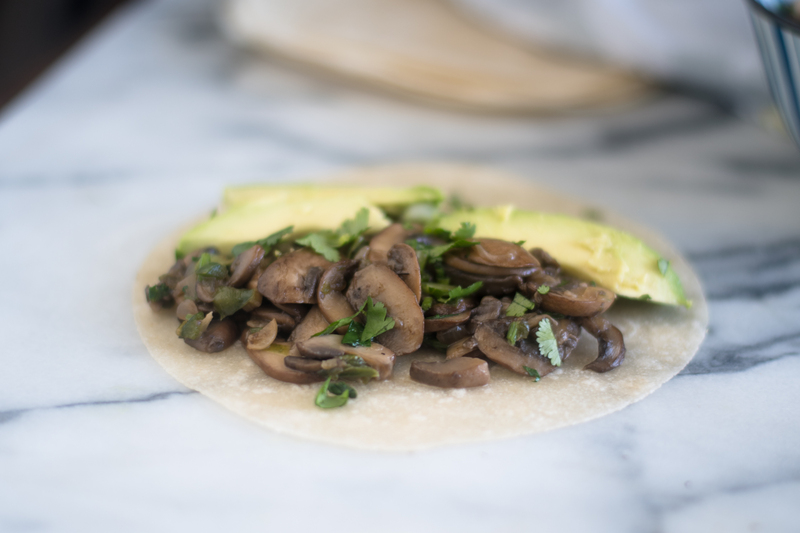 Serve the mushroom filling with warm tortillas, avocado, and a squeeze of fresh lime juice.